Grow! Growing! Grown? 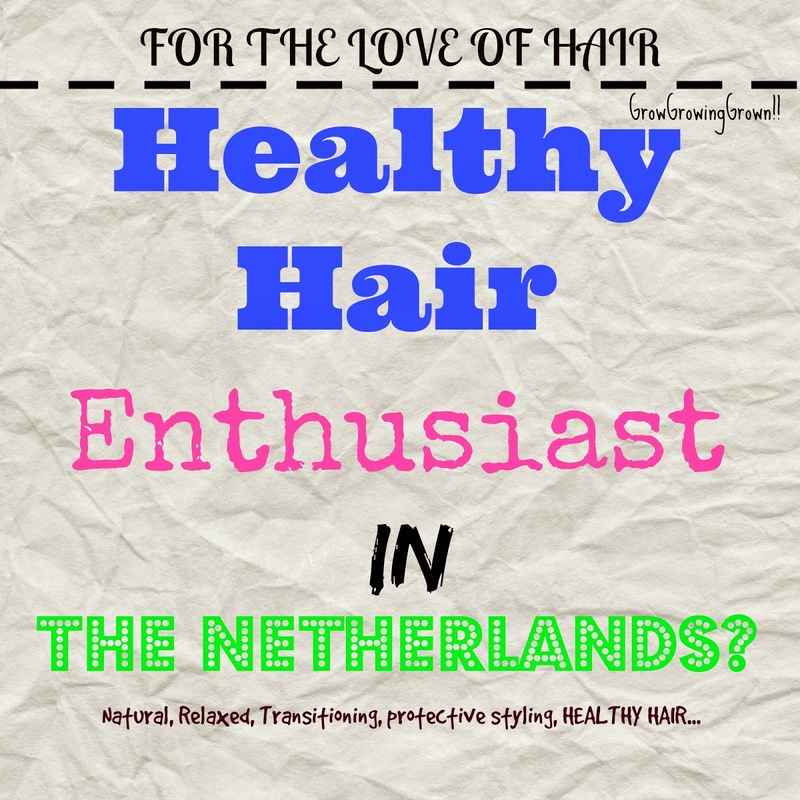 : Healthy Hair Enthusiast in The Netherlands? Healthy Hair Enthusiast in The Netherlands? I woke up this morning with the urge to find a healthy hair community here in the Netherlands where I live. I would really like to attend an event centred around healthy hair care. It doesn't have to be a big event, it could be just a couple of girls with similar interests that come together to discuss, share and learn about our hair. I feel like there isn't much going on here in the Netherlands (or perhaps I am not just aware of it), in relation to such. I see lots of such events around in US, UK and Nigeria, but its very scarce here in the Netherlands. I think one of the issues for me personally is the language, but I wont mind attending one in Dutch. My Dutch may not be close to perfect but it is enough to get me by and understand a few things. Plus, isn't hair a universal language between us ladies?. I am also sure that there are lots of other ladies here in the Netherlands, either here to work or school that do not speak the language either. Most of us, myself included, resort to youtube and blogs to learn and discuss our hair with others around that world. One of the main reasons I started this blog, was to share my hair story with you guys, while keeping sort of a journal for myself. My aim is not only to inform, but to learn and hopefully inspire someone through my journey. I love that what I do, I love talking about hair and I am glad that in the process, I have meet a few wonderful people from my blog, youtube and Instagram page. It would be nice to meet up with people once in a while and exchange tips and tricks and just have fun all together. So yes, I see I have a few readers around Europe, and here in the Netherlands, make yourself known guys. I would love to know if you will be interested in having a natural/relaxed/healthy hair meet up event. Where we discuss all about our hair, likes, dislikes, how we care for it and what not. It will also be an opportunity to learn from other ladies and maybe swap hair products. Let me know what you think and if you know people that will be interested in such an event. I think it will be fun. Great job for starting this, Dumsy. I hope you find some fellow hair enthusiasts in the Netherlands. Thanks girl, I found where they were all hiding, on FB. LOL.